Stay true to your country roots. 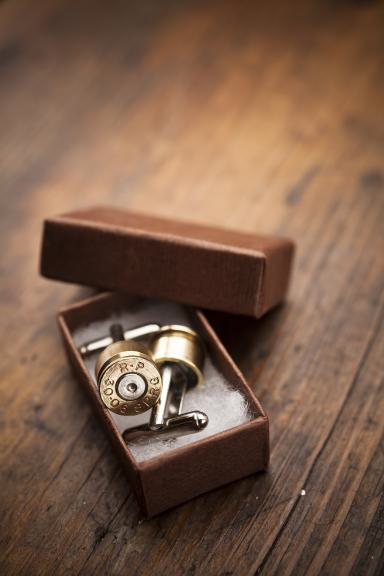 These cufflinks are handcrafted from genuine fired brass bullet casings. Designed by ArtifactsnRelics, which prides itself in high quality craftsmanship, premium goods and the best materials continually sourced to deliver the most pristine and exquisite new and upcycled products available. Handcrafted by owner Michael Keinardach, each piece is collected, cleaned, cut, deburred and polished individually. Calibre may vary slightly due the upcycled nature of each product.